​An evaluation consists of a limited number of small trenches, dug to ascertain the presence or absence of archaeological remains, and their nature, depth and extent. They are located only in areas affected by the proposed development, as the archaeology in other areas would not be threatened , but they are usually carefully positioned in order to pick up features identified by the desk based assessment. As any intervention by definition removes and destroys the surviving archaeology, evaluation trenches are carefully excavated, usually with hand tools; records are made by means of plans, context sheets and survey; and all finds are recovered. The findings of an evaluation, formalised in the Evaluation Report, are used to determine whether an excavation or other type of further work are required. It is always the Local Planning Authority and their advisors or monitors who make this decision, never the archaeological contractor or consultant. 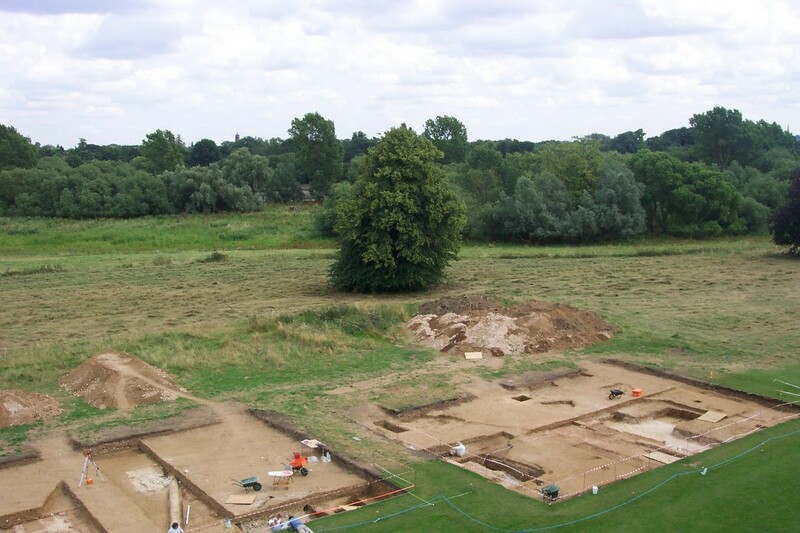 ​Usually, if remains are present, a carefully designed excavation is the next stage of work. This is often termed ‘mitigation’ as it is intended to ‘mitigate’ or lessen the effect of the development on the underlying archaeology. In some , relatively rare cases, the remains are such that the proposed development may not be allowed to go ahead, or that the building design may need to be altered to lessen the impact on surviving archaeology. For instance, pile locations may be repositioned to areas where there is less survival. If there is very little or no survival, further work may be deemed unnecessary and the Planning Condition will be signed off at this stage. On some occasions a watching brief may be required to monitor any further work which may impact on the site.